A literacy narrative essay is fun to write—even though the name sounds quite dull. This type of essay forces the student to do something they often don’t get the opportunity to do: think about their first feelings in connection to reading and writing. In some ways, this type of essay is a cousin of the personal statement and the reflective essay. Think back to the time when you were so little, you couldn’t read or write. You’d see adults around you reading or writing, engaged in this mysterious activity. It was as if they were part of some league of code-creation and interpretation—given their preoccupation with these black and white symbols. A literacy narrative essay encourages you to hearken back to one of your most vivid memories of reading and writing and to explore it. Think about how this first experience shaped how you view reading and writing today. Once you’ve finished reading this article, you’ll have a more lucid grasp on how to write the most cohesive literacy narrative essay. This composition will more exactly reflect what your teacher is looking for to help you earn a passing grade. 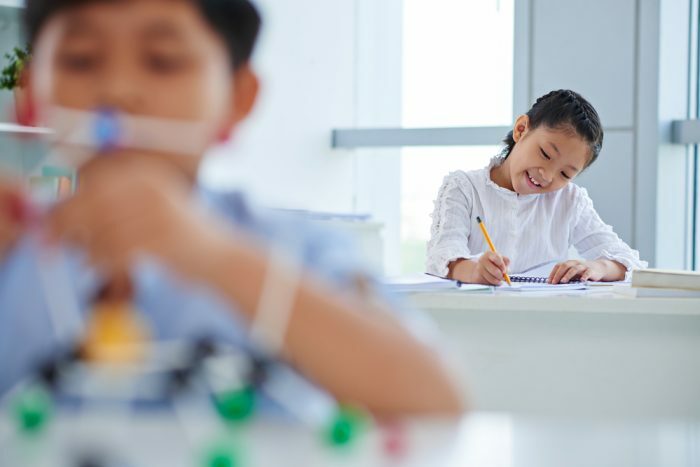 A literacy narrative essay lets the student reflect upon and describe the connection they have with reading, writing, and language in general. By zeroing in on the first moments one experienced these subjects, it forces one to reach greater clarity. You have to really consider the influence that literacy in all of its forms, has had upon your life. This can be very powerful at times and sometimes sheds light on how we have formed as individuals. Often people have very strong emotions connected to their early days of reading and writing. Some people felt forced into reading and writing by the anxiety of their parents. Other people felt ridiculed by teachers for their basic reading/writing skills when they were small. For some, reading and writing was magical and fun. It was fun to sound out words, to sharpen pencils and make shapes. It was fun to read about distant lands and furry creatures and magic. Many people have claimed to have been deeply shaped by the books they read when they were young—characters like Alice in Wonderland, Winnie the Pooh and Peter Rabbit. Early experiences with books show children that the world is a safe place and can be full of wonder and excitement. The characters that they read about become friendly figures to root for and to celebrate their safe returns from adventures. Literacy narrative essays push you to dig deep into discovering how literature and language has influenced your personality, perspective of the world, and the path your life has taken. Engaging in a literacy narrative essay helps you to better understand the relationship you have with books, language, and the external environment, along with your relationships. It is not uncommon for a literacy narrative essay to help expose how you use language, how you communicate, both in the written and spoken word. These narratives can help you understand what types of stories you often gravitate to, and how many of these types of stories originated in childhood. By navigating your history with language, you are shedding light on how you use and relate to it today. Anyone can write a literacy narrative. You don’t have to be a famous writer or novelist or poet laureate to have a compelling connection to literacy. Some would disagree—and argue that the best literacy narratives are those that are penned by people who have reached some level of magnificence or acclaim with the English language. While it is always fascinating to read literacy narratives written by people who have a certain mastery over language, literacy narratives from all walks of life have a message to impart. Every person in the world has a specific relationship with language, both written and spoken. 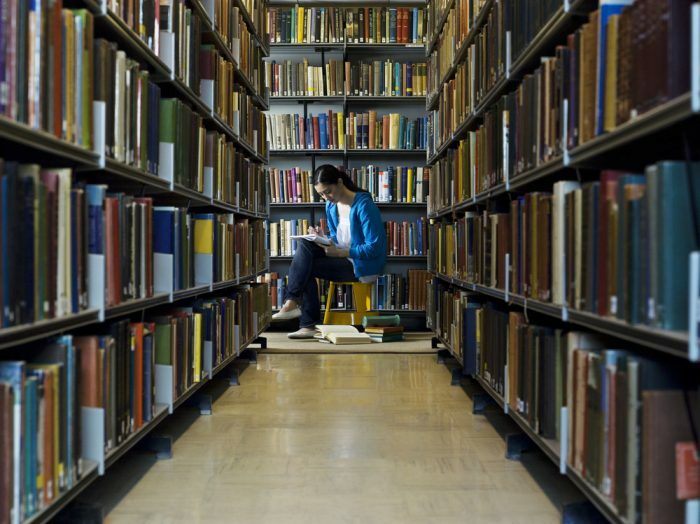 It can often be insightful to see how people have used and forged an interesting connection with reading and writing. With a pen and paper, think back. Jot down your very first memories of writing something—maybe it was your name, or maybe it was a basic sentence. Jot down your early memories of reading. What was the first thing you were read? What was the first thing that was read to you? Don’t censor yourself during this stage. Let the memories flow. (Tip: Sometimes calling a parent or older sibling can help jog your memory in this regard). Circle the memory that you’d like to explore for the purposes of this essay. Using stream of consciousness, let the ideas flow regarding your thoughts about this memory. Does it make you feel good? Anxious? Nostalgic? Note down the defining characteristics of the memory. Summarize in a few sentences what this literacy memory forces you to confront about yourself, the path you’ve taken and how you view the world. Introduce the main idea of your memory in the opening paragraph. Let the reader know what the theme of this narrative will be. In the second paragraph, set the scene. Describe where you were and with whom. State how old you were and how you felt. Describe the setting as vividly as you possibly can, so that you transport the reader there. Discuss what happened. Did you learn to read or write or sound out words? Did you succeed? Did you fail? Did you get support? Were you ridiculed? Did you feel empowered? Did you feel ashamed? Be willing to go through everything that happened, even the unpleasant stuff. Explain what the resolution was, if there was one. How did it make you feel? If there was no resolution, discuss how that has impacted you, then and now. Ponder the significance and connect the story to the path your life has taken and who you are today. Use some transition words when you make these connections. Using an outline for this type of essay can be a simple, yet powerful tool to help you organize your thoughts. This is especially useful because you’re going back in time mentally, and digging around in distant memories. An outline can help your writing stay cohesive and help the connections you’re trying to make between the past and the present stay crystal clear. a. What it brings to mind. 3. Sequence of events that occurred. a. Your feelings in connection. a. How that makes you feel. 5. Significance to life/life path today. a. Connect even to who you are as a person. The Crack-Up is an assortment of essays, letters, and notes by famous American author F. Scott Fitzgerald. It was created for Esquire and published in the periodical in 1936. After F. Scott Fitzgerald passed in 1940, his legendary editor, Edmund Wilson curated these texts into a book. While Fitzgerald doesn’t discuss his first impulses to read and write or his initial impressions on language, he does discuss his fragility with fame, with writing, his relationships to himself, and the mistakes he’s made. Writing and reading is entangled in his maddening and dark state and it is something he explores and reflects upon. Stephen King’s On Writing is part literacy novel, part memoir. However, the bulk of the book traces King’s relationship with writing and how he works when approaching a novel. While he does cover things like his drug addiction and his major accident in the book, the majority of it centers around his relationship to the craft of writing—how he relates to it and how he encourages others to approach it. Amy Tan’s Where the Past Begins started as a book on writing and then evolved into a memoir. While she shares much about the experiences in her childhood and adulthood, many of them seem to be interwoven in her novels as themes and inspiration. The act of writing figures strongly in the text and she provides vivid description for her relationship with and connection to writing and literature. Stuck Writing Your Literacy Narrative Essay? The first book I remember being read to as a child was Cinderella. I made my parents read it to me over and over again, when they had time. My parents always thought that I liked it because it told a tender story with a nice happy ending—about Cinderella running off with the Prince. However, that wasn’t why I liked it. To me, Cinderella’s story was a story of revenge. When I was growing up in a big family of four children, two parents, one dog and a cat, it was easy for me to get lost in the shuffle of things. I was the youngest, and when I tell people that they often assume that I was the little princess of the family or often babied. I was never babied. I could barely get a word in edgewise. My other siblings were bigger than me, louder than me, needed more attention and demanded more attention. I knew that my parents often appreciated how quiet I was, how little I asked for, and how little I demanded of their time. Throughout my childhood, my resentment started to grow. While I was never banished to live in an attic the way that Cinderella was, nor was I made to be the servant and housekeeper of the family, I definitely connected to aspects of her situation. I too, felt othered by my family. I felt like I often wasn’t included in many of the activities because I was so young. I often felt like I wasn’t told about many of the things that were going on, inside and outside the family. I often felt like an afterthought by everyone around me, just like Cinderella was. Thus, when I first was read the Cinderella story, it struck me that Cinderella had gotten revenge on everyone around her. She was the belle of the ball who got all the attention, especially the attention of the Prince. She created a mysterious, fetching impression on everyone there. And then in the end she won. Cinderella got to not only leave her awful surroundings, she got the prize that her awful sisters had been after: a place in the royal palace by the prince’s side. I delighted in the story as a child. It struck me that someday that could be my fantastic departure from my family as well. I wasn’t so taken by the idea of the prince, or even the notion of living in the palace—it was the idea of revenge that interested me so much. Cinderella got to leave and never come back, and that’s what I wanted. I wanted desperately to punish my family for ignoring me. Eventually, I stopped reading fairy tales and I put the Cinderella story out of my mind. The chance to leave never arose as a real opportunity until college. Sometimes my parents would remind me how much I loved the fairy tale, laughing that I was such a feminine, romantic child, and I would look at them and glower. Their misinterpretation of my connection to the story was just more evidence of the chasm between us. When I became ready to go off to college, I picked the school I liked the most that was several states away. “I’m never coming back,” I told my parents. “Okay,” they said with a smile, rolling their eyes, convinced they were hearing temporal anger of teen angst. It would pass in time, they told themselves. They were wrong. When I look back on my relationship with that fairy tale, I see how that simple story was able to give a kid with a tough childhood a glimpse of hope. While I did make good on the promise of my teens (that I would never come back to live in the same city as my family ever again), I did so, but not out of revenge. The need to get revenge on my family went away as I grew older. As I grew up, I was able to look back on my family and the childhood that manifested around me with greater lucidity. I see that they were just limited, narcissistic people, trying to manage what life was throwing at them. There was nothing personal about it at all. In my adult years, I was able to see that they weren’t trying to hurt me the way the ugly sisters and stepmother were trying to hurt Cinderella. However, they were just callous about their actions—over and over again and for years. Whenever I see that fairy tale or the many films that have been made about it, I smile, and I think about the hope it gave my young heart, however misguided. Jumping into a literacy narrative essay should feel like your jumping into a time machine and shuttling through space and time. You get to do this with the exact intention of examining just one specific aspect of your development. While many students groan when it comes to starting these essays, the majority of students are glad they finished them. The reason for this is that it is one of the few times in life that an assignment forces you find understanding about your past. Some students consider this exercise incredibly healing; others find that it offers them an understanding about how they have become as individuals, that they were previous oblivious to. Even though our writers don’t know you or your connection to language, we have helped tons of young people craft these essays. So if you ever find yourself uncertain, or you want some suggestions about a direction to take your essay in, do not hesitate to reach out. We love helping students sculpt their essays, and shape their narratives. We are well aware of what teachers are typically looking for in these assignments. "How to Write a Literacy Narrative Essay." Aceyourpaper.com. Student Network Resources Inc, 28 September. 2018. Web. 20 April 2019. Student Network Resources Inc. "How to Write a Literacy Narrative Essay." Aceyourpaper.com. 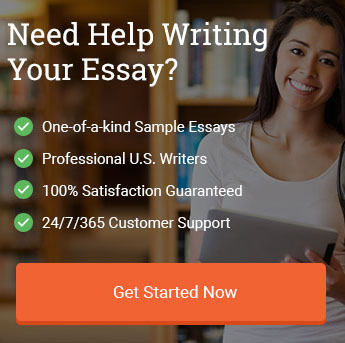 https://www.aceyourpaper.com/essay-writing/literacy-narrative-essay/ (accessed April 20, 2019).